One of Pentecostal Bishop, Rt. Rev. 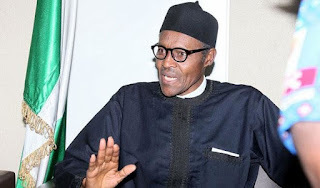 Seun Adeoye, has urged Nigerians to pray for the quick recovery of President Muhammadu Buhari, saying his wellbeing is so important to the nation’s stability. Bishop Adeoye warned that if anything should happen to Buhari, such would be a difficult burden as Nigeria will fall into wrong hands that are ready do anything to turn it into their private estates. The cleric, who spoke during the 1st Episcopal Honours and Gallantry Awards held at Sufficient Grace and Truth Ministry, Rehoboth Arena, Okinni, Osun State, last weekend, noted that only God can sustain the President’s health. He said: “I see trouble should anything go wrong with President Buhari. So, we need to pray for his quick recovery from this ailment. Buhari must not die; Buhari must live and that should be our prayers. “If Buhari is not the president, we will be faced with more lies and propaganda where we are going to be made to call black white. Rule of law will turn to be rule of fear and democracy will be replaced by despotism, favoritism and god-fatherism.